Opulent white pearl and rose cabochon ring. 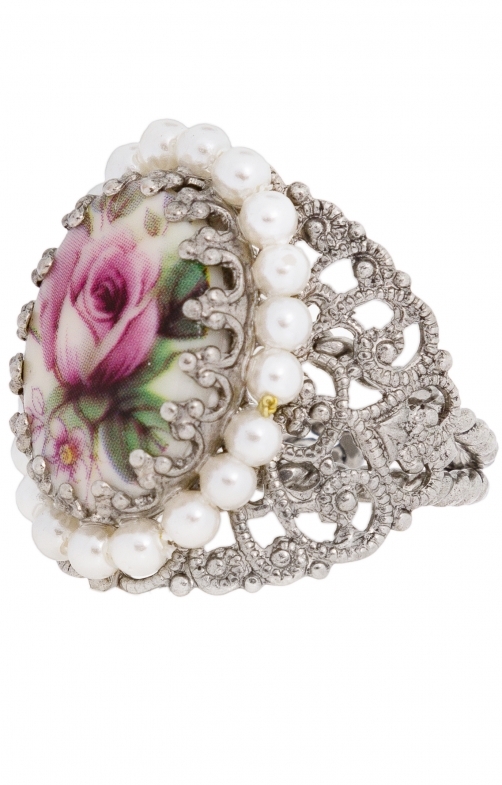 This superb and ornate ring features a rose cabochon surrounded by dainty white pearls set in delicate silver filigree. Pair it with one of the splendid necklaces in this range matching this rose cabochon ring ornament, and wear it with pride at the next Oktoberfest. Not only is it bound to catch the eye, but it’s also designed to round off your Trachten outfit in style.